Here I lay down the truth about two hundred and twenty years of teaching by one method. Madam Marchesi writes a great deal about sounding boards (her book was published in 1932), a concept you won't find in the writings of her musical grandfather Manuel Garcia, though he did write about the pharynx in terms of being a reflector. Garcia also said in an interview in the Musical Herald (1894) that control of the voice is lost after breath is turned into vibration at the larynx, and that one cannot direct the column of air. These statements should be considered in light of a comment made regarding the vocal technique of the great French Bass Pol Plançon as recorded by Garcia's student Anna E. Schoen-René in her book America's Musical Inheritance (1941). Plançon had just entered Garcia's studio after two would-be students had left, disappointing the great teacher with their inability to sing with pure vowels. "Sing me, " he begged, "a few of your beautiful notes, so that I may be sure that correct singing still exists." Seated at the piano, he sang scores and scales. Manuel Garcia's expression lost its discouraged sadness and became radiant, as he exclaimed, "That is singing through the mask, and not through the nose! The nose is the waste-basket of the brain but not considered for resonance." Is Garcia contradicting himself? Or is he talking about something else? If air doesn't go into the sinuses (and modern science tells us that it doesn't), what is he talking about? Bone conduction? A specific tonal quality? Mask. Sounding boards. Placement. These are old terms that are out of fashion. However, I think we should give them more thought before tossing them aside. Finding out what Madam Marchesi and Manuel Garcia meant - I believe - entails learning to listen, which is a complicated business. (Speaking of which: how many students of the voice listen to old recordings?) I think - and I've said this before on these pages - that the matter of sounding boards and the mask has everything to do with vowels and how they are used. One clue? The Old School taught that the [i] vowel was the most forward (see my post on Clifton Cooke for more information). Listening to vowel quality is altogether different than sending the tone somewhere. A student of Francesco Lamperti, Mme. 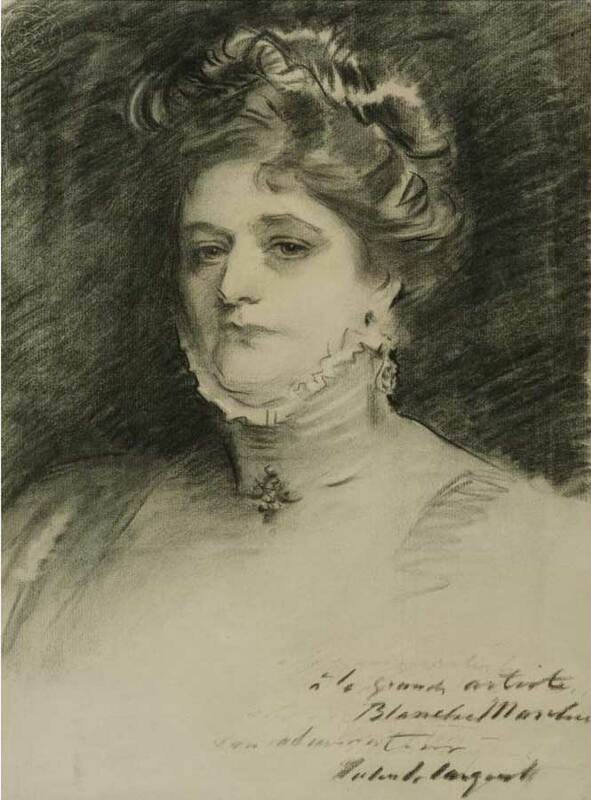 Lena Doria Devine taught in New York in the decade after Lamperti's death in 1892. Readers will notice in the article below that her teaching concepts are in line with those articulated in Vocal Wisdom. Devine was wary of the drive for teacher certification which was formally initiated by the National Association of Teachers of Singing- and later renamed The New York Singing Teachers Association. In a twist of history, I served NYSTA as the editor of VOICEPrints for five years. The organization now has its own professional development program that can be taken remotely. The following article is from Werner's Magazine - c. 1899.
and the value of Italian 'ah' as a throat-opener." THERE are other Lampertis and many representatives of Lamperti methods, but Mme. Devine stands for the Lamperti pere method pure and simple. She acknowledges nothing that has not come directly from the renowned Francesco Lamperti, the last of the great masters of the old Italian school of singing. "Men are more difficult to teach than are women. They do not take the same interest in their work. While I disagree most radically with Frank H. Tubbs in many of the things he says in the March No. of Werner's Magazine, I am compelled to say that he is right in his estimate of the brains and the ambitions of tenors. They have the most depressing way of giving up singing, even though they have perfectly lovely voices. "I declare I do not see how Mr. Tubbs can say that the acquisition of the vocal art is at the most a matter of a few months. To know the thing that you want to do, to understand perfectly how it ought to feel and ought to sound, is not necessarily to be able to accomplish that thing. It is just as Lamperti says: 'If that were so, the world would be peopled with golden songsters.' Why, Lamperti told me it would take me six months of steady work to get myself into the condition where he could begin to teach me. In those six months I was unlearning,—among other things, the attack of the Garcia school. I had a teacher that taught me that method of attack and just about ruined my voice. I practiced the Garcia attack by saying ' Ah-ah-ah!' just as if you were warning a child to let something alone. 'Ah-ah-ah! Don't touch that' That is all wrong. Try to attack the tone in that way and if you listen closely you can hear a slight pop preceding the tone. In the Lamperti attack the tone begins as clearly and distinctly as the edge of a razor. There is nothing, and then there is the tone." "It is made in this way." Mme. Devine turned the back of her hand toward the observer and beckoned, as if waving something over her shoulder, and then the tone came, infinitesimally small and distinct, without any click of escaping breath. It is as if you made the tone by inhalation. Of course, you do not. The voice in singing comes from exhaled breath; but if, before beginning a tone, you open your mouth and inhale until the air no longer feels cool to the throat and start the tone, apparently inhaling, you get an attack that is cleaner than by the method that lets the tone explode with a preliminary gush of breath. Of course, you understand that this breathing in with the open mouth is used as an illustration, and not as an exercise. You might dry the throat and hurt it by the inhalation of air unwarmed and unaltered by the nostrils." "Some teachers say that even in a song the breath ought always to be taken through the nostrils." ''It ought to be wherever there is a pause long enough to permit of it. Oh, yes, without doubt. But there are times when one must catch a breath,—steal it, if you like to put it that way—when one can not shut the mouth and draw in the breath through the nostrils, without calling attention to the fact that one is breathing, and that ought never to be done. It is no business of the public how and when you breathe. They want to hear you sing." "What is the Lamperti method of breathing ? " "Deep breathing; by the expansion and the contraction of the diaphragm. To expand and to contract that, of course the ribs move, but the point of effort is at the diaphragm. Other methods of breathing may make good physical exercises for the expansion of the lungs, but they are not good for the production of the singing-voice. There must be nothing that will stiffen the upper chest, for that tightens the throat. Lamperti would not even let us go rowing on the Lake of Como, because the unaccustomed and violent exercise would induce contractions in the throat. The chest must be pliable and easy, so that one could bend any way. All the work must be done by the muscles of the abdomen." "Isn't that injurious to women?" "It is, if a woman fastens herself up in a corset that does not give room for expansion. If the organs of the abdominal cavity are crowded up together and then a person tries to expand the diaphragm, something has got to give, and the result is bad. But it is not the breathing that is at fault. It is the corset. "On the other hand, deep breathing is just as beneficial for woman as it is for man. How many people go through life using only the upper half of their lungs! They suffer in consequence. The best proof of the good results of deep breathing is the way one gets hungry after a lesson. It is the greatest thing for the appetite. I get thin, hollow-chested girls, and the way they fill out is something interesting." "Do you have the pupils practice respiratory exercises by themselves, that is, without tone; and do you have them practice respiratory movements without breath? " "A certain amount of respiratory exercise should be given preparatory to the work in voice-culture. But much of this practice comes under the head of physical culture and is proper to the gymnasium rather than to the vocal studio. I advise my pupils to take physical culture and out-of-door exercise." "Do you have the pupil retain the air in the lungs, neither inhaling nor exhaling? What is the maximum time in seconds for holding the breath thus?" "As a result of practice it is possible to retain air in the lungs about forty seconds. Breath-control is the essential thing in the Lamperti method.' Singing on the breath' is the motto. There are just a few principles that I particularly insist upon, and not I either, for I do not pretend to teach on my own authority. I am not presumptuous enough to insist that I am the authority. I claim to teach exactly as Lamperti taught. I have his book, and for everything that I tell the pupil I have tradition—what I remember that he said to me and what he said to others—and I have chapter and verse. The few principles are singing on the breath, the attack, the artistic legato and the importance of the vowel a (Italian a) as a method of getting the throat open. "You will notice that when people do not sing well, the vowel a is not a with them, but uh or oo or aw or something like ugh. A pure a requires a clear throat. A good singer has a smooth legato, without being blurred or indistinct. That is what makes it such a pleasure to hear Sembrich sing." "You spoke of a pure tone. Has 'purity of tone' any standard other than that of each individual?" "I believe there is what might be called an absolute standard of pure tone, one in which there is a certain proportion of harmonics to the fundamental note. A pure tone requires certain physical conditions. There must be a clean-cut attack and steady breath-control. When these are imperfect the tone can not be pure." "Do you try to exercise the soft-palate ? Should it rise and fall for different vowels? " "I very seldom call attention to it at all. I go at it in a round-about way. Jenny Lind says something about the disappearance of the soft palate on the high notes. I get, as Lamperti showed me, the lifting of the soft-palate by making the pupil smile and also by the little device of pretending that the higher the note is the farther up into the head back of the ear it is. Of course, the note is not there at all, but it assists the production if you imagine it is there." An example was given later when the teacher swung round on her piano-stool and poked with her finger in the back hair of the pupil, and the tone, which was foggy and like that of a stopped diapason organ-pipe, instantly became clear and like that of an open pipe. "Do you teach that the larynx should be held in the same position for all vowels? " "I teach that no effort should be made except that necessary to control the breath. There must be no local effort about the throat." "Suppose you had a pupil that sang out of tune, what would you do ? " "I have two pupils now that came to me with this defect. One of them could not 'turn a tune,' as she puts it. Another one had a tendency to sing off key, but had generally a good ear. She used to give me the horrors. All there is to do is to get them to sing on the breath and constantly to call attention to correct intonation. 'Not quite the note. It is this. Listen. Do you see the difference?' That is the way I go at it. Wait a little and you will hear the girl that could not 'turn a tune."' She came in presently, an intelligent looking young woman. "Turn a tune?" she laughed." I couldn't turn a corner of a tune. My friends laughed at me for thinking of taking singing lessons. They told me they'd take care of my money for me if I didn't know what to do with it. But I am so fond of music and singing and I wanted to be able to sing so that I wouldn't make enemies by trying, so I began." Mme. Devine is a great believer in the correct posture of the body for singing, the chest well forward, the hips in, the weight on the ball of one foot and the other foot forward of that so that it will be easy to bow. "You are ready to do something then. If you want to bow or if somebody hits you and you want to ward off the blow, you do not have to get ready for action. You are ready. In that poise you do not need to fret about what to do with your hands. They do not bother you. It is the easiest way to hold your sheet of music. Your stomach is not in your way as it would be if you were 'standing straight,' as they call it, after the military fashion. I have had people say to me: ' I don't want my daughter taught to stand all scrunched up that way,' but they did not know any better." There was presently to be an illustration of this point, for the pupil settled back on her heels, and instantly the tone became dead and lifeless and apparently was propelled with an effort. But so long as she stood forward with the active chest, the tone was good, even beautiful, and only once or twice in all the exercises deviated in the slightest from the correct pitch. All the pupils have to go through practically the same exercises. There is first the poise, then the hands go on the hips with the fingers on the abdomen so as to sense the action of propelling the breath from the bottom of the lungs. Then some preliminary inhalations through the nose and then soft, sustained tones, the greatest care being taken that the beginning of the note is perfectly clean and pure. The vowel a (Italian) was used exclusively. Mme. Devine opposes the use of oo or moo or koo or any of the devices in vogue with some. In some cases the pupil swelled out on the tone, but one girl, who had been with a teacher that encouraged shouting, sang through a whole lesson without the listener suspecting that she had anything but a light voice. In reality she has a very large voice and is inclined to bellow. After the long sustained tones, Mme. Devine commences at once on the do, do', ti, la, sol, fa, mi, re, do, first time mezzo, second time pianissimo. Then to cultivate the ear the exercise is: Do, do, ti, la, sol, fa, mi, re, do, re—(breath)—re, re', do', ti, la, sol, fa, mi, re, mi— (breath)—mi, mt', re', do', ti, la, sol, fa, mi, fa, and so on. The advanced pupils do this without accompaniment in order to see if their ear is correct. Another exercise is a sort of staccato arpeggio, in the middle of which the pupil expends all the breath in a sort of sob and then recovers it quickly to finish the arpeggio in a clinging legato style. The quicker the recovery the better. The object of this exercise is to develop the capacity to catch a breath quietly and quickly. Another exercise is a light and rapid run of two octaves, up and down the scale. Its fellow that follows takes the last four notes staccato and very lightly and then runs down limpidly and evenly legato. Mme. Devine holds that when the notes are in the voice, it not only does no harm to touch them lightly and on the breath, but rather strengthens them and does the whole voice good. Instead of pieces, the beginner has the bravura studies of Lamperti, which contain every ornament known to florid singing and when sufficient progress is made, the pieces given are not "simple ballads," which really require the greatest possible art, but the ornate airs of the old Italian school,—" Una voce poco fa," " Ah, luce di quest" anima," "Regnava" from "Lucia," the airs of Bellini's "I Capuletti e Montecchi," or Rossini's "Semiramide," most of them with the ornaments and roulades that Francesco Lamperti wrote and added. Bit by bit these are studied and worked over, and if the girl is very studious and picks up things quickly, she has as many as three of these in her first year. "I do not expect to make an artist of her in that time," said Mme. Devine," but I expect to be able to set her just that much farther on the way to becoming an artist, by equipping her with the ability to do any mortal thing set down for her kind of a voice to do." The most confusing thing about Mme. Devine's teaching is that she does not use the word "natural." Sing "naturally," or "I teach my pupils to sing naturally," is the commonest phrase heard in studios. "Natural' is the most abused word in the language. Everybody picks on it and I am doing an act of kindness to let it alone. Everyone says that his method is the 'natural' one, and those who have no method at all think they are more natural than anybody else because they do not oppose nature; they let the pupils sing their own way whether it does violence to the vocal organs or not. The term 'natural,' as applied to singing, has no logical sense unless it means that use of the vocal organs that puts no strain upon any part detrimental to its healthy condition, that is, to get the greatest result from the least exertion. Every skillful thing is done naturally, because it takes advantage of all the favor in environments, but it is not done without teaching or practice. We have to learn how to get out of our own way and not to oppose ourselves when we are trying to do something, but we have to learn to do that and so it is not natural in the sense of being ' untutored.' "
"How many registers are there, and what is a register?" "The idea that there are certain points in the voice where the method of production is changed is erroneous. Placing the voice upon the breath develops it into a perfectly even instrument. The consideration of registers in the sense of there being places in the scale where there must be a conscious change of the method of production does not enter into my scheme of teaching." "What happens when the pupil makes a 'breathy' tone or a ' throaty' tone?" "A throaty tone results from tightening the lower jaw or from making other muscular effort of the throat in that neighborhood. A breathy tone comes from an improper attack, which permits the breath to escape before the tone. By the way, while I think of it, Mr. Tubbs opposes the 'spoon-shaped tongue.' I favor it. It certainly facilitates the exit of the voice. One great defect of singers is that they let their tongue rise high in the mouth and thus shut off the voice. The mouth should interpose no obstacle whatever and the flat and even spoon shaped tongue leaves a free and open passage. "It has become a fashion lately to make much of frontal resonance, but I dislike exceedingly the effects obtained by it. The tones that a soprano gets seem to me to be like nothing so much as a hoot. Lamperti calls particular attention to this 'frontal' tone and tells how to avoid it." "Besides Lamperti and San Giovanni, who were your teachers?" "I challenge those who say they have studied with the great masters to tell me why, if they have really done so, they talk so much about a thousand and one trivialities and so little about the one great truth he taught—the secret of the Italian school—singing upon the breath." "Who are some of your pupils? What results can you show?" "The following are some of my pupils: Edward W. Gray, tenor of the Old First Presbyterian Church Choir; Mrs. Nestor Lattard, mezzo soprano; Edward Groeschel, soloist of the Schuberth Club, Jersey City; the sisters, Jessie and Bessie Abbott; Louise Gehle, contralto, and her sister Augusta Gehle, soprano; Mrs. Charles Sprague Lippincott, of Nebraska ; Miss Florence Merritt, niece of the assistant editor of your magazine; Miss May K. Mason; Miss Ida Benedict, the composer and soprano of the Old First Presbyterian Church; Miss Mabel Denman; and the coloratura soprano, Miss Blanche Duffield. Among the professional teachers that have studied with me are: Mr. E. Springer, of Chicago; Miss Caroline Belcher, of New Jersey; Miss Mary Merrill, of South Georgia College; Marie A. Summers, of Brooklyn; Miss Katharine V. Dickinson, of the Alton, 111., Conservatory. "But the method I teach is not my method. It is Francesco Lamperti's and it is only because it is his that it is so valuable. The results that he got were such singers as La Tiberini, Jeanne Sophie Lowe, Cruvelli, Grua, Brambilla, Catherine Hayes, Desiree Artot, La Grange, Angelica Moro, Paganinni, Galli, Risarelli, Augeleri, Peralta, Albani, Stoltz, Waldman, Aldighieri, Campanini, Vialetti, Derevis, Mariani, Palermi, Everardy, Shakespeare, Van Zandt (mother and daughter), Valleria, Lilli Lehmann, Sims Reeves, Sembrich, Volkman, Robinson, Reichman, Organi, Galassi, Gayarre, and Ripetto. "Is not that a list? What a teacher he must have been to have got such pupils as Albani, Campanini, the Van Zandts, Lehmann, Sims Reeves, and Sembrich! Patti was at one time a pupil of his, but perhaps she got her method from him in a more indirect way. 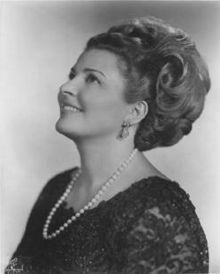 Shortly before Adelina was born Signora Barili studied singing with Lamperti. So when anybody asked the question that is so familiar, ' How old is she?' The maestro used to say: 'Tacete, tacete' (Wait, wait), and then he would count up. He knew." "You studied abroad. What do you think of it? Is it necessary?" "Yes and no. There are in this country excellent teachers capable of making finished artists. So it is not absolutely essential to go to Europe ' to get the finishing touches,' as the phrase goes. At the same time, no student that has the means should be satisfied until he has spent a year or two abroad; in the first place, on account of the broadening influences and inspiration he will receive from such an experience. At home the singing-lesson is obviously one out of many interesting things that occupy the mind. But over there, there is nothing else. In the time when you are not directly studying the voice, you are either consciously or unconsciously learning Italian if you are in Italy or French if you are in Paris, and that is good for you and makes in the direction of your work. Not being with one's family or friends, you spend more of your time in the studio hearing the others and you get along so much faster than if you took two lessons a week and forgot all about it except when your lesson times came. "In the second place, the public and the managers are prejudiced against one that has not had European study and something of a European career. One thing is certain, though; there is no excuse for going abroad to study until one has built a solid foundation. It is even harder to steer clear of voice-wreckers abroad than at home, because some of them have tremendous reputations." "Is the piano the best instrument to use in giving lessons ? How about the violin?" "The piano is the most convenient, but I consider the violin a most valuable aid in cultivating the voice. The legato can be illustrated much better on the violin than on the piano. I remember having a most interesting conversation with Sembrich on this point, while she was studying with Francesco Lamperti at Lake Como. She assured me that her knowledge of the violin had been of the greatest assistance to her in the cultivation of her voice. "Speaking of Marcella Sembrich, I would state that she thought well enough of Francesco Lamperti to take lessons of him even after she had studied four years with G. B. Lamperti. She came to him from Hamburg, where, in an access of delight, the students had unharnessed the horses from her carriage and themselves had drawn it. She could not get the attack at all. Lamperti offered to send out for a pupil that could show her, but she wanted to try it herself. It did not make any difference to Lamperti that she was already a great singer; what he wanted was somebody that would do what he said. So he wandered into the next room to look out at the weather and —did not come back. Mme. Sembrich waited and then began to cry. Mme. Lamperti, coming in and finding Sembrich in tears, tried to comfort her by saying: ' But you are Sembrich.' "I had rather interest that old man than the crowds that do not know whether I sing well or ill,' she replied. "Mme. Lamperti went and found the master and the lesson went on." "But that just showed," continued Mme Devine, "that Lamperti did not pay any more attention to one pupil, just because she had a name, than to another that tried to do as she was told. It also gives one an inkling into what has made Sembrich one of the first singers of the modern world. She is not satisfied just to do well. She wants to do the best. She hadn't a natural trill when she came to Lamperti. She has worked at it until now it is beautiful." "When should a girl begin vocal lessons?" "I do not believe she can begin too soon. Children that are not neglected begin at a very early age to sing, if they hear music and if their parents sing to them. To have no ear for music simply means that no attention was paid to the child in that respect When they are yet 'little folks," seven or eight or even younger, I think that they should begin systematic instruction, everything being done gently and lightly, even playfully. There should be no effort to develop strength in the voice because the tissues are too frail to admit of strength. But flexibility and suppleness can be gained, the child can be taught how to breathe and to control the breath. It stands to reason that the child is better fitted to do those general things that do not require fine, deliberate coordination of the secondary muscles than it is for writing in school or playing the piano." "Then when the mutation of the voice comes, there is much less of a change in the girl's than in the boy's voice, and the suppleness of the voice remains. With it, too, remains the control of the breath. That has become habitual and does not have to be learned after the girl has acquired faulty habits of breathing from wearing corsets. The control of the breath is the work of a long time, and childhood seems to me to be the time for that. If a girl sets out with an operatic career in view, eighteen years is pretty late, considering what a lot she has to learn. To succeed, she ought to be able to sing in at least three languages. Besides the acquisition of technique, see how many roles she must learn. Mr. Tubbs (I hope he will not think that I have a personal grudge against him) says twenty-four is a good age. I do not know about that. A woman of twenty-four feels that she must get results right away. She has no time to spare. She must make her appearance while she is still young and before she has begun to look passe. That is why there are not so many good singers, considering that so many are studying. l am delighted to find that Sir Morell Mackenzie in his 'Hygiene of the Vocal Organs' agrees with me as to the desirableness of teaching children. Christine Nilsson, Jenny Lind, Adelina Patti, Albani, and many other famous singers sang, when children, even in public. What spoils children's voices is putting too severe work upon them for too long a time, but lessons fifteen minutes long, in which the child sings on the breath and lightly, are not going to do the damage that the untaught screaming of children in public schools and Sunday-schools yelling at play, and the lack of interest in good production will do. Just to find out by visiting a studio once a week that there is such a thing as trying to make beautiful tones is an incentive to a child to try to imitate, and is an education in itself. ''I have one little girl pupil now. She is thirteen years old, and, while her voice is small, I do not attempt to develop it in strength. Everything she takes is lightly done and the lessons are only a quarter of an hour long. Some of the expressions she uses to illustrate her understanding of what I tell her are most interesting. Someone was telling her of another little girl's singing. ' Yes,' she says, ' she does like I used to. She freezes her voice. She puts too much breath in it' Now, I never told her that, but it illustrates exactly the effect of mixing the breath with the tone. It makes the liquid water turn into a kind of cold slush. ''I think I should like to have a class of little girls to teach singing. I used to be able to interest the little ones so, when I was a teacher in the public schools. I believe it is possible to bring children up to be singers, if you begin at the age when they are forming the habits of such elementary things as the use of the voice." "Should a pupil practice out of the teacher's hearing? How long should one practice? " "The pupil should not practice away from the teacher until he has mastered the correct way of taking each single tone upon the breath. A pupil should not practice more than fifteen minutes at a time. That must be supplemented by mental study." "Does the vocal profession offer to a man as good opportunities as the law, medicine or a mercantile life? " "Yes, to the man of exceptional vocal endowments, but to no others." "Have associations of teachers helped the profession ?" "I do not think they have very much. They ought to, just as similar associations have done in other professions. But the trouble is, these meetings are used more as an opportunity for advertising than for mutual aid and the advancement of truth." "Do you believe in State regulation of singing-teachers, such as there is for lawyers, physicians, engineers, and plumbers? " "I do not. I think it would be utterly impracticable. The ability to answer a number of questions would be no criterion whatever of the ability to teach. Some clever writers on voice-culture have shown themselves to be poor teachers. The only salvation that I can see is to get the public to know a good teacher by the results he gets and for honest publications to denounce incompetents and frauds and to expose their claptrap methods of fooling the public." Walking back home from Carnegie Hall, the thought occurred to me that I had just witnessed the passing of an era. How so? Frederica von Stade sang and comported herself with such charm, grace and elan - making it look oh so easy- that one forgot that young singers today often stand on the stage is if they are in their living rooms. Either that or they bluster their way through. Not von Stade. She never puts on airs except for comedic effect, and you get the distinct impression that she knows exactly what she is doing, why she is there, and what the public expects. And she doesn't disappoint. Von Stade appeared in a black and white striped evening gown that telegraphed that she was here to have fun and all things French. This perception was confirmed when she appeared in the second half in a Belle Époque inspired peacock blue-green gown. The change from light to dark was beautiful. And this chiaroscuro effect extended to her singing as she ranged from the dusky full tones of Connai-tu le pays from Mignon to a luminescent Early in the Morning by Ned Rorem- the latter taking a bow from the audience. The composer Lee Hoiby was onstage to play the accompaniment to The Serpent, which was originally written for Leontyne Price. Von Stade was also joined by Richard Stilwell and Samuel Ramey in a arrangement of Bernstein's Some Other Time from On the Town. Ramey grabbed Flicka at one point, spinning her around, and interpolated a few bars of Non piu andrai, which elicited a look of genuine surprise and shock from the striped-gowned Cherubino, who took a step back and wagged her finger at the great basso before the song resumed. The audience ate it up. The program was threaded around von Stade's life, referencing different times and places. France figured large in songs by Ravel, Poulence, Bertomieu and an under-appreciated Pauline Viardot, while America was represented by the aforementioned Rorem and Hoiby, as well as Copland, Thompson, Heggie, Hall, and Sondheim- who's Send in the Clowns may have been the most vulnerable and heart-centered moment. That it came at the end was immensely satisfying. 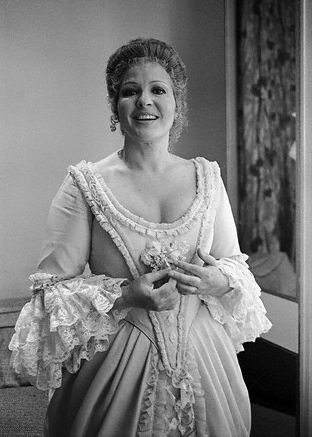 And if there was a zenith to be reached, it was during an encore of Cherubino's aria from Mozart's Le Nozze di Figaro - a role which made von Stade justly famous. While she sang everything with clear elegant tone and exemplary diction, the Mozart filled the hall with a lustrous vibrancy that thrilled. In a moment between songs, Von Stade remarked that to be an artist one has to have a 'concept of excellence' as well as discipline, generosity and -most of all- heart. One sings from the bottom of one's heart (as she was taught by her teacher Sebastian Engelberg at Mannes). Could anything be so simple and yet so hard? This recital was a lesson in life, and a celebration of the same. Martin Katz -von Stade's thirty-six year partner at the piano -played with nuance and sensitivity, reminding one that great artists are really great listeners. It's amazing what you can find via google books these days. It's a whole new world for the researcher. That's how I found Frank Herbert Tubbs. He was a voice teacher in New York City who studied with Manuel Garcia and Francesco Lamperti. 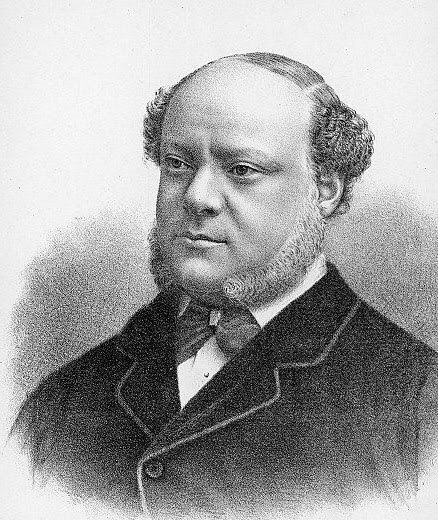 As such, he is one of few that have articulated the difference between these two giants of the 19th century. Where can you find this information? In an entry in the Encyclopedia Amerciana in 1920. You can read it here. An additional article in Werner's Magazine included below gives the reader a sense of Tubbs' own teaching method. Between these two sources one gleans a great deal of information about the teaching practices of the times. Tenors lack brains and ambition." 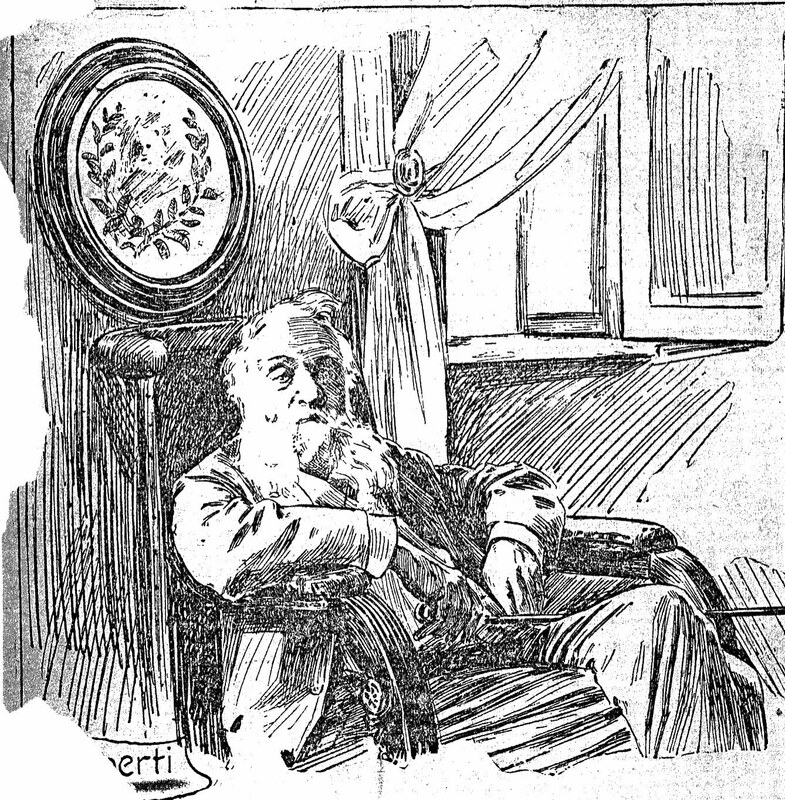 "Nonsense," declares Mr. Frank Herbert Tubbs, "all that there is of vocal technique can be got by a diligent, earnest student in a few months, not to say in a few weeks. I distinguish between a vocal education and a musical education. If the pupil is really in earnest and wishes to learn all he possibly can with the minimum expenditure- of time, and takes a lesson a day from a teacher that knows his business, the voice can be put into the best estate in three months' time. The work must have been so presented to the student that he can think out the process. Otherwise the lessons do not do the least bit of good. After he has thought it out, the organs will work all right and he can go fast just as well as he can go slow, without practicing exercises for velocity. The mind directs the vocal organs, and once the mind has apprehended just what it has to do, the muscles that govern voice do their work as rapidly as is desired. It is my aim to start my pupils right so that they can work by themselves." One of Mr. Tubbs's favorite heresies is that a college education is a good deal of a handicap in itself. The association with good people is useful, he says, but as far as the benefits derived from study go, the young man of the same age that has had to hustle for a living in the busy world is far quicker on the uptake than the university man, other things being equal. Mr. Tubbs himself was educated in the Boston public schools and had a little of the Massachusetts Institute of Technology. He was a civil engineer to begin with, but a tenor voice got him into taking lessons of Lyman W. Wheeler, who was a pupil of Manuel Garcia. Then he studied with Manuel Garcia himself, with Shakespeare, Emil Behnke, Francesco Lamperti, San Giovanni, and then came back to Shakespeare. "He is the best in the world," declared Mr. Tubbs. "No; there is no best. I got most from Shakespeare, though. I took lessons from him every day the last time I went to him and put my whole heart into my work. I learned more from him in thirty days than in my whole life before and that was what first convinced me that the acquisition of a vocal education is a matter of months and not of years. "The Lamperti and Garcia schools differ as to the fundamentals. Lamperti makes a great deal of respiration and in the practice the pupil carries the open tones to the higher notes. This allows one to see faults. It is easier, too, to sing the upper tones open. On the other hand, Garcia does not go deeply into respiration and in the practice the pupil covers the upper tones and opens the lower tones. "The terms 'opened' and 'covered' are used to describe the action of the pharynx. When the tone is 'covered,' the hood of the pharynx is arched in such a way as to make the tone more sombre. When the tone is 'open,' the pharynx is relaxed, loose, spread open." "What are your views on breathing?" "I deem it of primary importance. The pupil needs to know enough of the anatomy of the respiratory organs to know what are the essentials of breath-control and how to get rid of the non-essentials. I give exercises—singing eliminated—like those the gymnast uses to toughen his biceps, until the breath-holding muscles are as tough as whip-cords. They are as the hands of a pianist." "I don't believe in the distended chest. It must be firm but the strain should be on the back and sides. Lean slightly forward, the weight on one foot, the arms out as if holding a sheet of music. Here, take this song. A little farther from you. Don't you see how it puts the tension on the muscles of the back, important muscles for holding the breath; they tie right into the crura inside of the back-bone. "It is a mistake to suppose that the breath is held by muscles low in the abdomen. It is thus that expiratory muscles fight with the breath holding muscles, which are all above or on the level of the breast-bone, which means above the diaphragm." "You oppose the high, fixed chest. But that is especially noticeable in Jean De Reszke's singing." "Jean De Reszke" is a giant, physically and vocally. He has to sing in mammoth theatres and great caverns like the Metropolitan Opera House. Most of us musicians expect to sing in drawing-rooms and small halls. To hear him in such a place would be painful. There is little nicety in his work. It is not necessary. It would be like finishing with the delicacy of a miniature a great fresco in the dome of a lofty cathedral. Mme. Sembrich sings in an entirely different style. There is less effort or, rather, the result is that all effort is hidden. She does not bulge out her chest. "To be able to produce a tone with breath-control does not mean that one is able to use all the breath he has. Toward the end of the expired breath, nature demands that a fresh inhalation be taken even though the lungs are half full. This demand may be denied, but after that moment is reached the tone is worthless. The singer knows when the critical moment has arrived even if the audience does not. He feels collapsed; the tone-quality is changed. It is possible to develop the ability to hold the breath much longer and to postpone gratifying nature's demand and still feel that there is enough oxygen in the lungs to make the tone vital." "Isn't there danger in making some people hold the breath too long?" "The teacher must exercise judgment. As soon as the pupil complains of distress, it is well to stop awhile. The repeated inhalation of deep draughts of fresh air has a tendency to make one giddy, but this intoxication from oxygen is soon recovered from and leaves no bad results." "What exercises do you use to enable the pupil to acquire this ability to control the breath?" "I give physical drill in inhalation and exhalation. Deep breathing is necessary for that, but we sing best on partial breath; for the deeper we breathe the more we call into use the forcible expiratory muscles. I have the pupil whisper ' Hah! hah! hah!' ten or twelve times, pause and hold the breath. The breath is not to be held by the expiratory muscles but by the muscles that pull the chest open. They have to be taught to hold still. If I hold my arm out straight, at first I can not keep it that way very long without getting tired; but if I practice every day, I gain strength to make it stay still for hours together. Very few are able to hold the breath with the throat open. (By this I mean with the muscles that lift and lower the larynx relaxed.) We think we can, but the breath still leaks out. A frosty morning will show you that some escapes from the open mouth no matter how still you hold the breath-controlling muscles." "One of my exercises I do with a chair. I take in a breath, open the mouth and the throat, pick up the chair by the back, lift it slowly over my head, put it down again as slowly, and then exhale. The breath must be held all the time by the inspiratory muscles and not by shutting up the throat. "As to the larynx and the throat, I hang out a sign marked: 'Keep off.' All that is necessary to know about it is that the fundamental tone is produced at the vocal cords and that the first resonator is in the ventricles of Morgagni. The work done at the vocal bands is so fine and delicate that no man is able to direct action consciously. There must be no effort directed toward the throat. A good initial tone is obtained by the release of all tension in the muscles that lift and lower the larynx. The result of learning to place all the tension on the sides and the back is that in about five weeks, taking a lesson every day, from two to four tones are added to the upper voice. But it is not the extremes of the voice that I seek to cultivate, rather the region from E to E."
"What is called the 'middle register?'" "Yes; but the subject of registers is one I practically ignore. I used to think I knew a great deal about them. I even used to deliver learned lectures about the registers of the singing voice and had very decided views. The Atlantic Monthly asked me to write an article on the subject, and I thought it would be as well for me to read up what had been said. I found that there were no fewer than twenty-one good, definite, working theories held by discreet and learned authors, and I concluded that possibly it would not be the part of wisdom to dogmatize on what was capable of such a wide diversity of opinions. So I never wrote the article. To make a definition for register that will apply all round is practically to admit a register for every quality. Garcia says that there are three registers; Behnke says just as positively that there are five. I don't know how many there are. No analogy of a reed or a string explains to my mind the action of the vocal cords." "If the vocal cords are not vibrating reeds or strings, what are they?" "More like a drum than anything else I can think of." "But a drum is an instrument of percussion and the larynx is a wind-instrument blown by the breath." "The breath is never made into tone." "No. But the column of air above the vocal cords is set into vibration and that in turn sets the air all around into vibration; that is, if we may put any faith in the deductions of Helmholtz and of Tyndall." "The breath bears the same relation to the larynx that steam does to an engine. What escapes does not do any of the pulling." If the interview was not to be turned into a debate, here was the place to hold one's peace; but it took moral heroism to keep from arguing that unless the steam did escape from high pressure to freedom, pushing the piston out of its way to get there, very little work would be done. "I think the tone is carried on some kind of nervous ether, magnetism, aura,—call it what you like. I do not know what it is. But I do know that the larger voice, the merchantable voice, is obtained by the resonance, not merely in the cavities of the head where air is located, but in the entire body. The entire body should give responsive resonance to the initial tone made at the vocal bands. It is literally true that one may ' sing into his boots.' I have experimented in the matter of the power of directing the tone to any particular part of the anatomy. Wholly undraped, I am able by an effort of the will to send the tone, for example, to my elbow. The observer is able to follow up the tone and find out where I have located it, by the increased local vibration and not by any word or hint from me. Standing on a rug on the bare floor, I can send the vibrations to my knees; standing on plate glass, to my very toes. A single garment perceptibly lessens the beauty of the tone, and as more and more of the flesh is covered the resonance and the vitality of the tone diminish. 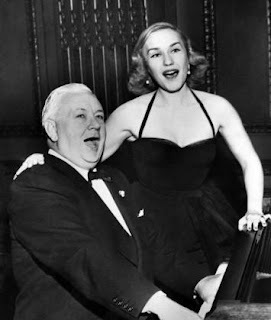 I am inclined to think that this is one reason why women prefer to sing in evening dress. "I am a profound believer in the value of exercises to develop the strength and the agility of the organs of articulation, particularly the exercises that give freedom to the tongue. All the connecting muscles, which run from the surface of the tongue to the jaw, the chin and the neighborhood of the double chin, should be pliable, limber and supple. The tongue is so intimately connected with the larynx that a freed tongue means a freed larynx and that means a pure tone. The exercise of the articulatory organs puts the mucous membrane of the mouth and of the nasal passages into a healthful condition, and it adds the overtones that give character and vitality to the voice. I do not believe in the spoon-shaped tongue. Mark that. "What articulation exercises do you give?" "I have nine syllables, which put the tongue into every position it can occupy in speech. I got them from Sir Alexander J.Ellis. They are: Tha (th as in 'father'), la, daw, va, naw, ma, za, re, ga. The articulatory organs appear to have a vibratory power of their own, and they extend the vibrations of the vocal bands throughout the body. Fa, for example, increases intensity at the lips. "How young should one begin to take vocal lessons?" "Better be old enough to be settled in one's voice. The musical education may be begun in infancy. Life is all too brief for that. But vocal culture is work for the mature mind. A woman should begin when she is about twenty-two or twenty-four years old. One of the most satisfactory pupils I ever had was a clergyman that never took a vocal lesson in his life until he was more than forty years old, and the way his voice improved and became beautiful is almost past belief." "But don't people acquire bad habits of vocalization unless they take lessons as soon as their voices form ?" "There aren't any bad habits." "Don't you call a throaty voice a bad habit?" "I can rid the singer of it in six days. I mean by a 'throaty' voice one where there is a tightness of the muscles in the double-chin neighborhood. Look here: Singing is largely a matter of feeling, temperament, intelligence. Once get the pupil to understand what hinders him from doing as he would like to do within his reasonable limitations and the hindrances disappear." "Do you teach the pupil the anatomy and the physiology of the vocal organs?" ''I have a lot of other things to do, and experience has shown that the knowledge of anatomy and physiology does not particularly help to produce a singer. I don't think that laryngoscopy has done much for the vocal teacher; but by that do not mistake me as meaning to imply that the art of teaching vocal music has not progressed, and that we are no better equipped for our work than were the much-lauded 'old Italian masters." The human mind has undergone an enormous development within the last hundred years, and we are able now by improved methods of instruction to impart knowledge in a much shorter time than our ancestors. We have learned within the last few years how to teach children to read in a few months what before required long years of dreary practice. Instead of giving, first, long columns of words to learn to spell, we work parallel with the child's inclinations and experiences. Training the voice nowadays is not the work of years, but of a few months. "Let me say two things, while I think of them: There is no truth so well established but that it may be controverted. How much more so is this the case with voice-culture, which is not an exact science but deductions based upon the observations of phenomena of the human body. It is only a little while ago that we learned the very a-b-c-d fact that the blood circulates, and how can we presume to be dogmatists on a subject of which we are so ignorant ? "Again: What is wrong for one voice may be perfectly right for another. The man that sings with a high, distended chest requires an entirely different method from the one that sings with a relaxed and easy chest. ''You speak of the vibrato. What is ordinarily intended for a vibrato is merely a case of wabbles. The true vibrato is not a matter of pitch but of quality. It doesn't oscillate in pitch, but when the tone is perfectly free in the pharynx there is put on to it in the mouth a full vibrant quality like velvet plush. But it is always a small voice. To increase its volume is to brush away the delicate bloom. It is a thing of nature, not of art, and the attempt to produce it in full voice results only in a cheap imitation." "How is it that while America has produced sopranos of the very first rank, eminent baritones and magnificent contraltos, there are no great American tenors?" "There are lots of good tenor voices in this country. I suppose I could put my finger on fifty tenors equal to Campanini or that would equal him, but.."
"But what?" Mr. Tubbs shifted in his chair and laughed a little uneasily as if some what embarrassed, but said finally: "I suppose I might as well out with it. You know that a voice is not all that is needed to make a singer. It seems that tenors somehow lack brains and ambition. I recall now a man with a perfectly lovely tenor voice,—a gold mine if he could only see it. I did my utmost to awaken ambition in him, to point out what a world-famous place he might attain if he would only apply himself. I got him a church choir position, so that he could study and still have enough left to keep him; but do you know what was the height of his ambition? To sing in a vulgar female minstrel show under an assumed name! He had that much compunction, to change his name. I got him another good place in a company on the road. He tried it for a little while and now he is back again with the minstrel show. It is the hardest thing in the world to put ambition and perseverance into a tenor." The writer was permitted to listen to four lessons. The pupil stands nearly always behind Mr. Tubbs, but he says: "You moved your shoulders then. You weren't quite easy with them. You moved the back of the tongue then," and seems to tell what the pupil does wrong without seeing. Before beginning an exercise, he frequently has them pant like a dog for a few moments, "to loosen up the diaphragm," as he calls it. When he takes them over a song, at the beginning he has them whisper ah to the tune. Then, beginning the melody on a as in "father," he demands that the vocalized tone cause no more sensation —bar the vibration—than the breath. He next has the pupil whisper the words, and if in the song the pupil finds it difficult to get the proper quality on a high note with a combination of consonantal sounds, he makes her speak the word several times on the same pitch that she is supposed to sing it. It is one of his mottoes: "He that speaks well sings well." All through the exercises is the same teaching of utter passivity as to the tongue and the throat, coupled with the direction of the thought of breath-holding to the broad of the back. "Any singing that makes the under-chin bulge out is bad," he said." It means that the tongue is standing on stilts and pushing at the larynx." 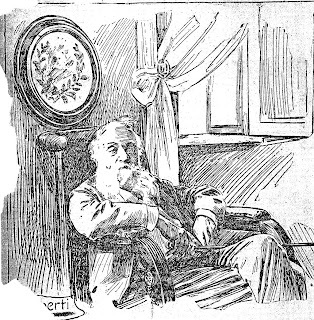 One of his exercises, which seemed to be a favorite, was to make the pupil pant a little, then take in a breath and sing ah to a given pitch, in one breath and three starts In this way the pupil learns to attack the tone without "scooping" or sliding or doing anything but beginning the note pure and simple, without any clicks or queer noises of any kind. Another exercise was a doleful one. The pupil began, say, on E, and portamentoed up to the octave and down again, without stopping. It sounded like ghosts and haunted houses. When it is done to suit Mr. Tubbs, this portamento di voce is turned into a run. "When you run a string of beads through thumb and fingers, you move them in a straight line; but the thumb and the finger move in a little bit to mark each bead. So the larynx moves, to distinguish each note in the run." One of the pupils, herself a teacher in a Western city, when he said to her to change the vowel to o, asked him how she should hold her lips to say o. "Don't hold your lips anyway," he answered. "Just sing o. Do you stop to think how you hold your lips when you cry 'Oh!' in admiration? Now, by asking that question, you have got yourself out of adjustment. We'll go back again to e— ay—ah." This exercise he does, first on one note, then changes to the interval of the second, the third and the fifth, preserving the same quality of tone. In the brief interval between the lessons, Mr. Tubbs found opportunity to say of one pupil, who had a large and flexible voice, which at times seemed ready to be something great but the next moment soured into something thin and acid and squalling: "What that girl needs is a wider mental horizon. She comes from a little country town. She has heard nothing great. She has no lofty ideals yet. But her character will change and expand, and then she will have a lovely voice." Many teachers attach much benefit to rapid runs, but Mr. Tubbs tells his pupils to hold on to the last note, for in that was the benefit and not in the fioriture that preceded. "That was just to get the voice all easy and devoid of strain. Now you can make a good tone on the last note." Panofka's, Marchesi's and Concone's vocalizes he uses, but prefers Panofka's, because they are so much more musicianly. "Who are some of your pupils?" ''Without taking the time to think, but just as their names occur to me: May Convis (Mrs. Norcross in private life), of the Carl Rosa Opera-Company; Mrs. Hunsicker, of Philadelphia, who gets the largest salary paid to a church-choir singer in that city, —$1,500 a year from the Second Presbyterian Church of German to wn; Mrs. Charles O. Sheridan, of Atlanta, Ga., better known than Patti to the concert-goers and music-lovers of that part of the country; Mrs. Lizzie Fenno Adler, of the Christian Science Church at Chicago and the best oratorio soprano there; May Palmer, of the Castle Square Opera-Company; John R. Cumpson, who makes his $250 a week out west, singing in such parts as Fritz Emmett used to play; Leroy Wood and Mrs. Wood, of Dr. Judson's Memorial Church;—well, in Nickerson's last directory of churchchoir singers I counted twenty-nine of my pupils. There are thirty vocal teachers in town that have been pupils of mine at one time and have taken what I gave them and worked on it for themselves, which is what I want my pupils to do. I give them certain important truths and teach them to apply them and then they can cultivate their own voices." 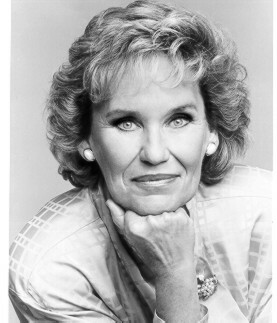 I got an email this morning informing me that Shirlee Emmons died, and my mind immediately recalled meeting her at the New York Singing Teachers Association Centennial Gala in the Spring of 2006. As editor of NYSTA's journal VOICEPrints, I had asked Shirlee to write a piece about her voice teaching and life, and she did a bang up job. We hadn't actually met yet, having communicated via email, so it was a joy to turn around at the reception and meet her face to face. What a lovely and charming woman! We stood there and chatted like old friends. I thanked her for writing for VOICEPrints, and she thanked me for the opportunity to write about her life, something she hadn't done despite authoring three books (you can read her piece here). My impression was that of a generous, inquisitive and thorough person. Her presence telegraphed that she put her life-long experience to excellent use, constantly thinking about the voice and her students. In short: she knew what she was doing! Shirlee Emmons life was all about great singing and singers. She will be much missed.